Public WiFi and how to stay safe. 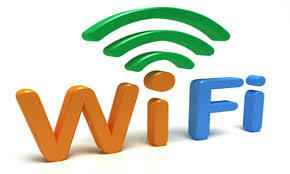 The convenience of Wi-Fi for most people is invaluable. Whether it is at home or out & about we long to get connected wirelessly as mobile data is limited in speed and an added expense. As such, being able to access it, anytime and anyplace, is essential to how we now live. The availability of public Wi-Fi is growing all the time in shops, bars and cafés but there are risks associated with signing up to public hotspots, which many people seem to forget. We’ve all done it. We’ve all gone to a coffee shop and clicked to connect to the free Wi-Fi, without a second thought for whether it’s legitimate or secure. Here are a few tips to staying safe on public Wi-Fi. Always ask the owner of the Wi-Fi hotspot for the correct network name and password. Be wary if there is no password as this will mean the connection is unencrypted, and pay close attention to potentially spoofed hotspots that bear close resemblance to the official name. You should ensure that the web pages you visit are https encrypted where possible. You can check this by looking for https at the start of the page address, or for the green security padlock sign. This indicates that the website, and that page, has a valid digital certificate and up-to-date encryption. DON’T do online shopping or banking on un-encrypted websites. Keeping up-to-date with the updates that are available for your laptop is essential. You should keep your web browser, software and antivirus solution up-to-date as an up-to-date antivirus engine will scan, detect and remove the latest threats. By and large, public wireless networks should not be used to access email, online banking and credit card accounts, or any other sensitive data for the matter. Your best bet is doing that from home, where hopefully your internet service provider delivered router is both password-and firewall-protected. Make sure your laptop, tablet or smartphone are set to manually select a Wi-Fi network, rather than having it connect to public hotspots automatically. Enable two-factor authentication where possible. This adds an extra layer of protection by sending you a text code every time you login (HMRC use this!). Don’t stay permanently signed in to your personal accounts when accessing public Wi-Fi hotspots as you may leave yourself exposed - log out from each website after each session. If you want to guarantee your security and you’re not actively using the internet, simply turn off your Wi-Fi – the longer you stay connected, the longer the crooks have to notice you’re there.